Want to get away from the hustle and bustle of city life and have some fresh air and greenery? The Sothern Ridges is a 9km chain of green spaces spans across Mount Faber Park, Telok Blangah Hill Park, Kent Ridge Park and ends at West Coast Park. Click here for the birds-eye view of the entire circuit. If spending 4-5 hour walk is not your thing, the least you should try is the Henderson Waves and the Forest Walk. 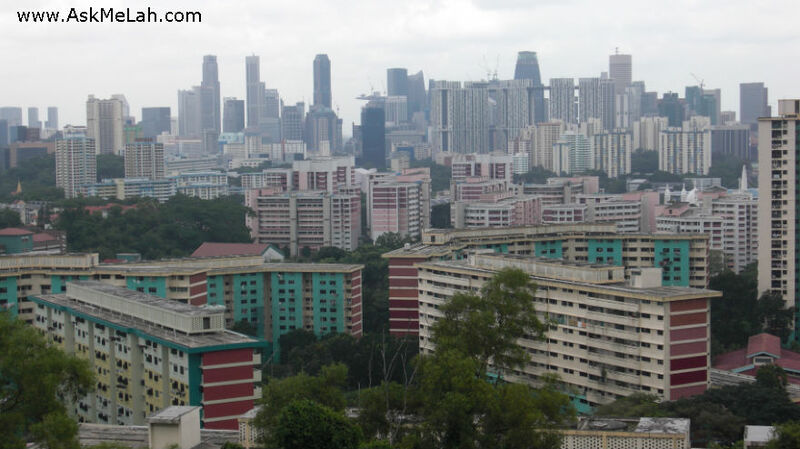 The easiest way to get there by public transport is to take the MRT to HarbourFront MRT, cross the road and follow the Marang Drive (besides the public car park), look for the signboard and you should be able to track the Marang Road leading up to Mount Faber. The trail up to Mt Faber should be less than 20min. Note the Marang Trail is not lighted up at night. Follow the signs will lead you to Henderson Wave. The bird’s eye view of the City at Mount Faber top is quite spectacular. Henderson Waves is Singapore’s highest pedestrian bridge connecting Mount Faber Park to Telok Blangah Hill Park. If you are following the map from National Park, it may be tricky to find the start of the Forest Walk, follow the pedestrian path and look out for yellow markings “Forest Walk” on the pavement. The entrance of forest Walk is near Car Park 3. The Forest Walk is interesting and if you are lucky, you may have close encounter with the monkeys. The Forest Walk is lighted upto 12am and is wheelchair-friendly. 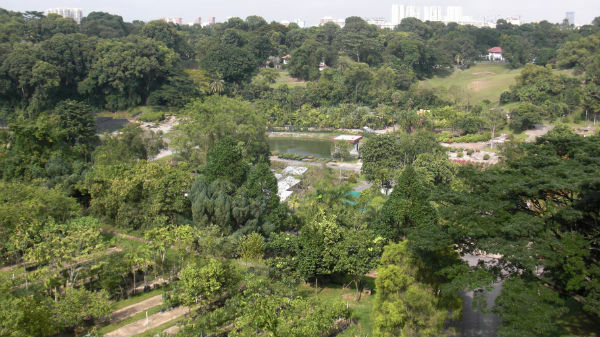 If you are driving, the best way to visit Henderson Waves and Forest Walk is drive up to Telok Blangah Green and park at either Car Park 2 or 3 (free parking courtesy of National Park!). At the end of the Forest Walk trail is the half-a-leaf-shaped Alexandra Archfollowed byHortPark– the gardening hub, a free entrance garden with many blooming flowers and beautiful garden landscape and a small children playground. 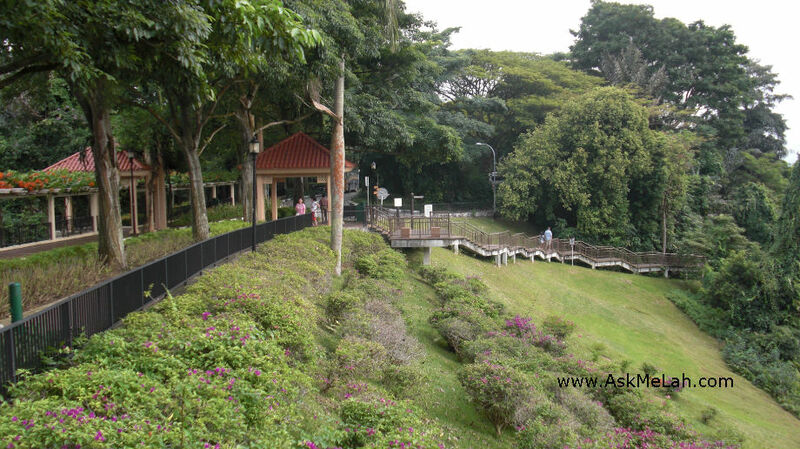 Finally, enjoy the greenery and tranquility view of the Canopy Walkwith an elevated walkway. At the end of the 10min Canopy Walk is the Reflections at Bukit Chandu, an old colonial bungalow converted into a World War II interpretive centre. Entrance fee is S$2.